Another cargo ship "Mahmud Rahimov" of Azerbaijan Caspian Shipping Company will sail in the waters of the Azov, Black and Mediterranean seas, the company said. The vessel has already taken direction from Turkmenistan to Bulgaria. 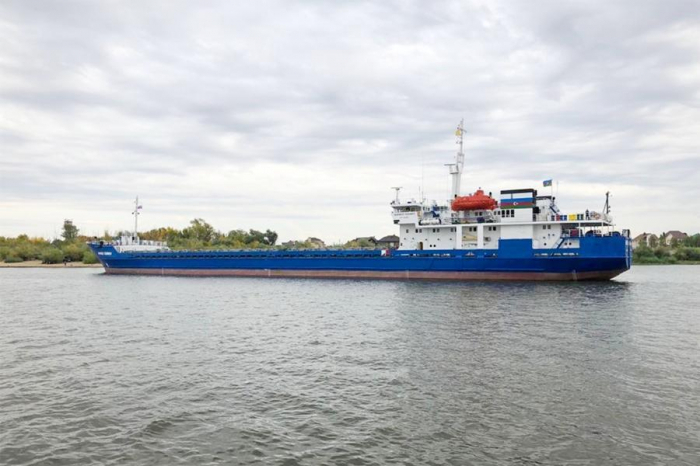 Having passed through the inland waters of the Volga-Don Canal, the cargo ship was expected to moor at the port of Rostov on Oct. 11, and after completing the relevant documentation it will head for the largest seaport of Bulgaria, Burgas. The control over the operation of the dry cargo ship is carried out by the main office of the Shipping Company in Baku, and the technical services are represented by the representative office of company in Turkey. The crew of the cargo ship consists of 16 people. The length of the vessel is 117.5 meters, width - 16.5 meters, speed - 11 knots, carrying capacity - 4100 tons, and deadweight - 4485 tons. The vessel will strengthen the position of the company in foreign markets for the transport of dry cargo. After a long break, the activities of the Azerbaijan Caspian Shipping Company in international waters were restored on the instructions of President Ilham Aliyev in 2014 by acquiring Uzeir Hajibeyli and Natavan vessels. Thus, by commissioning the "Mahmud Rahimov" dry-cargo ship, the number of vessels at the disposal of the shipping company and sailing outside the Caspian has reached 14. Of these, 12 are dry-cargo ships, and two are tankers.